The Navy wants to add as more than 100 square miles (260 square kilometers) of private land to the Fallon Range Training Complex 60 miles (96 kilometers) east of Reno. “This would blow a hole through the middle of the Great Basin desert, literally,” said Patrick Donnelly, Nevada state director for the Center for Biological Diversity. The Navy has completed a draft plan to expand the size of its Nevada bombing range. 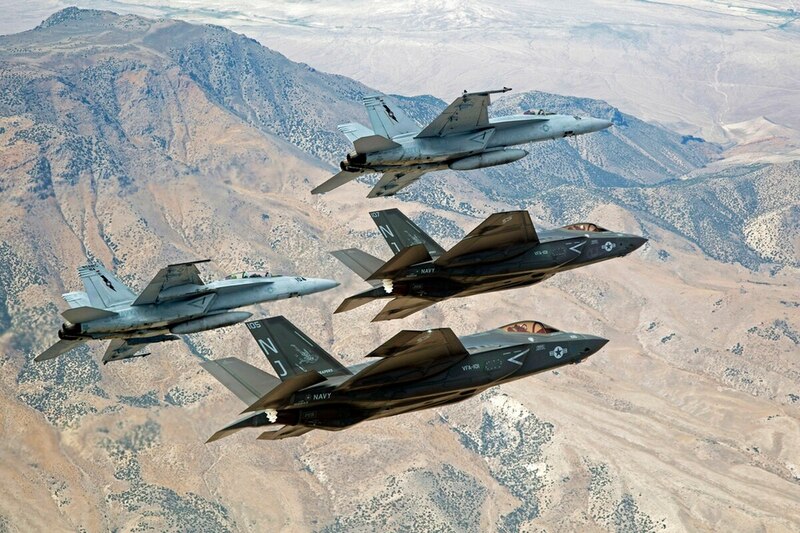 The Navy's sole F-35C squadron made its first trip to NAS Fallon to hone tactical skills.